1. Clean up spills immediately. 2. 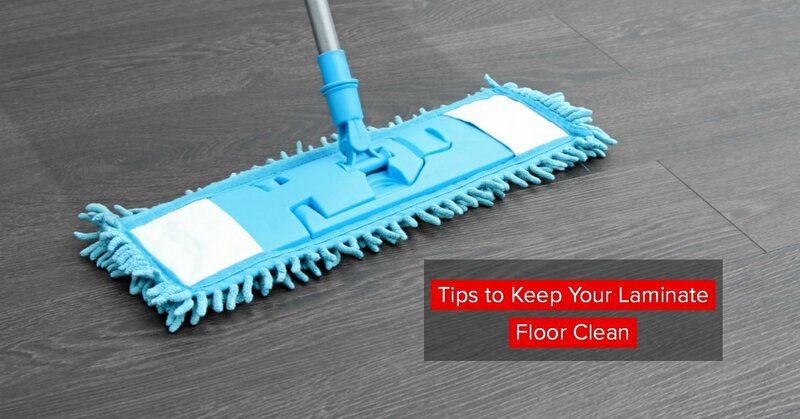 Do not use excess water to wet mop your floor. mop can also damage the floor. Keeping your flooring clean of dirt and debris is a must regardless of what type of floor you have, and laminate is no different. By regularly vacuuming (without the beater bar on) or sweeping, you’ll help to prevent dirt from scratching or dulling the floor finish. Doormats will also help to keep dirt out in between sweeping or vacuuming. Oil-Based cleaners, like Murphy’s Oil Soap, is designed for hardwood flooring, not laminate. Using oil-based cleaners or soap can cause a streaky film on your floor, or even worse it could potentially damage your flooring. Other than a cleaning product that is specially designed for laminate, Pergo recommends a mixture of 1 cup vinegar to 1 gallon warm water to clean your floors. Laminate is one of the easiest flooring types to keep clean, as long as you remember to keep water, soap, and oil-based cleaners off of it. Follow these tips, and you’ll have a beautiful flooring that you will love for years to come.